Tighter credit conditions for investors have landed. This is why and what it means. There are more and more reports coming in that banks are locking it down. 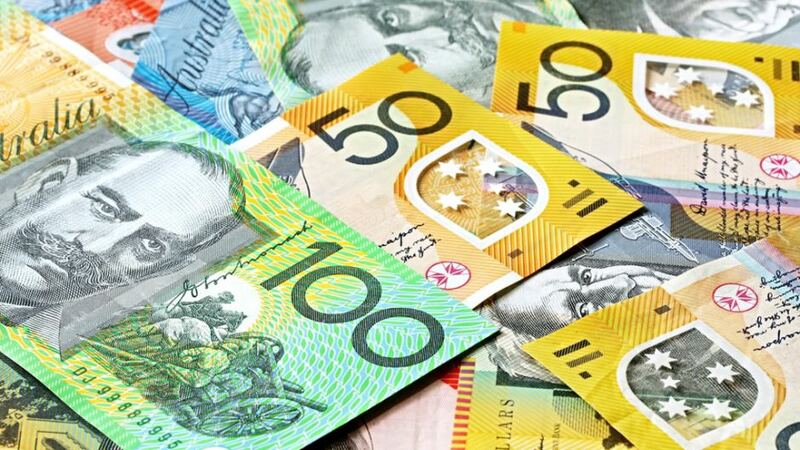 Officially, banks like NAB and CBA have announced an end to pricing discounts for investors. ANZ have done the same, unless you have a PPR mortgage with them as well. They’re also clamping down on LVRs. BankWest will now apply a maximum LVR of 80% for all investment purposes (property and shares). Not long ago BankWest were famous for giving the green-light to loans with LVRs of 98%! And that’s just the official line. That’s just the stuff we know about. Word on the street is that all the banks are shifting to 80% LVRs for investment loans. Mortgage brokers think we could be looking at the tightest lending environment in years. And John Symond, from Aussie Home Loans reckons that the amount of funds available for new loans will be cut “by at least a third”. If that’s true, it will be a pretty drastic turn-around. Like dropping from 3rd gear into reverse. So why is it happening? And what will it mean? Let me look at each of those questions in turn. First up, this is not about a bubble, or about our banks being fragile. The pulp-analysis that you’ll see in the next few days will say that it’s about a bubble, and about APRA trying to ‘cool the market’. That’s not totally wrong, but it’s a long way from right. It is true that the banks are running scared of APRA right now. They know they’ve been naughty, and if they don’t pull themselves into line, APRA is going to get out the whipping stick. And APRA has already given the banks a good look at the whipping stick. It involves higher capital requirements (the amount of money banks actually have versus how much they lend out.) Any increase in risk weightings or capital requirements goes straight to the banks’ bottom line. So the banks are doing everything they can to avoid pushing APRA too far. Westpac just raised $2bn to shore up its books. And that hammered its share price. They’re going to great lengths. But they know they don’t have a choice. Because back in December last year, APRA put the banks on notice. Chairman Wayne Byers wrote to lenders, and made it clear that APRA would ensure that in the context of record low interest-rates, mortgage lending to investors would grow at a responsible pace. They’re not concerned at this stage about PPR mortgages. And so what’s a “responsible” pace? Byers drew a line in the sand – 10% a year. Pretty much all the banks were caught speeding. In the March quarter Australia’s investor loan book grew by $45 bn. NAB’s book grew by 13%, Suncorp 12.5%, Westpac 10.4%, ANZ 10.3% and CBA 9.2%. Anyway, at pretty much the exact time as the copper was watching, the banks were clocked speeding. APRA now has the trigger it wants if it wants to bring in tougher regulatory measures. The banks can’t say they weren’t warned. And so now the banks are falling over themselves to show that they’re doing the right thing. So does this mean we’re in a bubble? Well, no. The thing to remember is that all the talk about “macro-prudential” measures like LVR limits etc. came from the RBA. The RBA let it know they were in a bind. Interest rates were at record lows, and lighting a fire under Sydney’s housing market, but the rest of the economy needed lower rates. (Other cities needed lower rates!) The dollar needed lower rates. And so they told APRA, if you can get the banks in line, we’ll keep cutting rates. That’s what this country needs. APRA said no worries boss, and Wayne wrote his letter to the banks. The RBA then went ahead and cut rates. Only the banks hadn’t been toeing the line. Investor loans had grown too quickly. And so now we’re in the mess we’re in. And I say ‘mess’ because now the banks are targeting this 10% limit, which is really just an arbitrary line in the sand. And the RBA never said they were worried about the whole Australian market. They were worried about the possibility of Sydney getting out of hand… at some point in the future. And so you can’t tell me that what the Brisbane market needs right now is tighter lending conditions. Or Perth. Or Darwin. Or Hobart. Or anywhere apart from Sydney. And the bugger is that it doesn’t have to be this way. APRA could have easily said we want to see LVR limits on lending to investors in Sydney only. This is exactly what New Zealand have just done with their run-away market, Auckland. But no. Now the whole country is saddled with LVR limits. APRA was playing the nice guy. Trying to gently coddle the banks into doing the right thing. But the banks will follow the money. Always have, always will. And Sydney is their biggest paying market. Let the other cities fall on their sword. APRA needs to stand up and just be clear in what it wants. Some checks and balances on Sydney. That’s all. Don’t just ‘leave it to the banks’. It’s lazy, blunt and untimely policy. Let’s hope it all blows over quickly. Anyone else heard stories about tighter lending conditions? Will a 80% LVR limit force you to change your strategy?